It all started on September 6, 1901, when President William McKinley was shot in Buffalo. Vice President Roosevelt traveled to his bedside, but when McKinley seemed to be improving and no longer at risk, Roosevelt departed, both for security reasons and to join his family in the Adirondacks. After taking the train from North Creek, he met his wife at the Lower Works and from there, they rode together to a cottage at the Upper Works, about ten miles north. 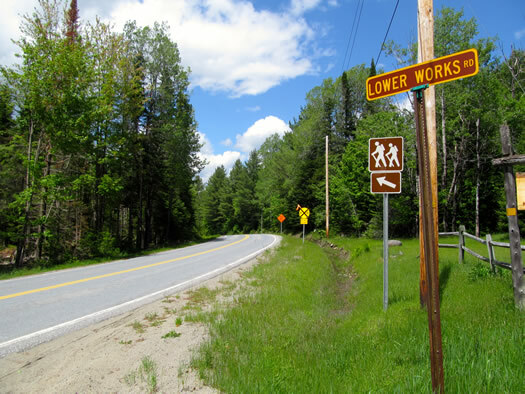 Today, this road is known as Tahawus Road and you can find it about 17 miles off Exit 29 of the Northway in Newcomb. 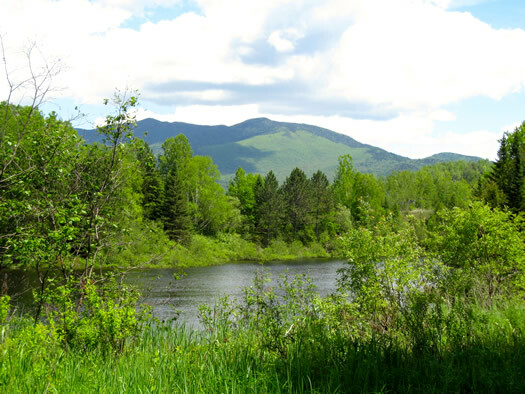 As you follow the same road Edith and Teddy Roosevelt traveled, you'll see beautiful views of the High Peaks, a couple of hunting clubs, a few wild turkeys, an abandoned iron smelting furnace from the 1850s, and the abandoned village of Tahawus, where the Roosevelts stayed in 1901. 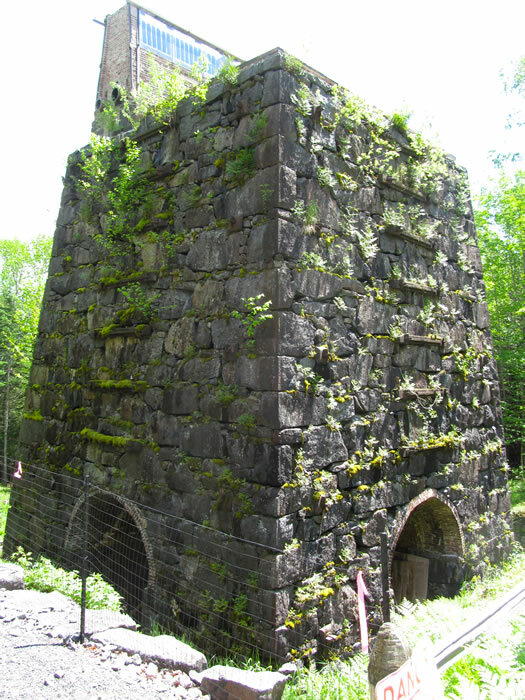 An old iron smelting furnace. Tahawus is now a ghost town. It was once filled with miners, lumberers and hunters, but when the mines went bust and the businesses moved on, the village was abandoned. The few houses along the road are now mostly collapsed save one. 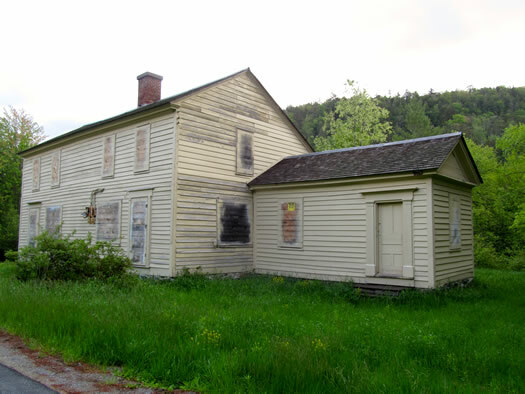 The MacNaughton Cottage still stands fully intact, though boarded up and empty. The renovated building was saved because this is where the Roosevelt family "vacationed." The family was only supposed to be there for two or three days, but perhaps because of the immense pressure he was facing, or perhaps just because of his affinity for the outdoors, Roosevelt instead decided he would climb Mt. Marcy. 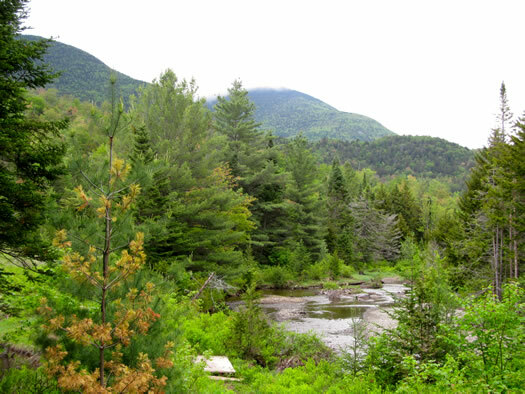 So they set off north from Tahawus from what is now known as the Upper Works trailhead and summited Marcy the next day, September 13, 1901. The trail is almost 21 miles round trip, but that means the incline is mostly gradual and never "I want to die" steep, as I call it. Although it is possible in one day -- if you start at around 4 am or so -- the best way to tackle the mountain and still enjoy the many views is to do an overnight in one of the lean-tos or campgrounds. Roosevelt's group in 1901 included a handful of guides to get them through the woods and wetlands, but today the trail is pretty well-worn and easy to follow. I found myself hiking it and wondering what it was like to meander through this country without trail markers or a map you can buy at a gear shop. When Roosevelt first arrived at Tahawus the weather was, well, terrible. It was raining almost constantly and clouds hid any of the views of the mountains around them. Today, when you're hiking in the Upper Works, it's mostly the same. It's not always cloudy and it's not always raining, but it is almost always wet. 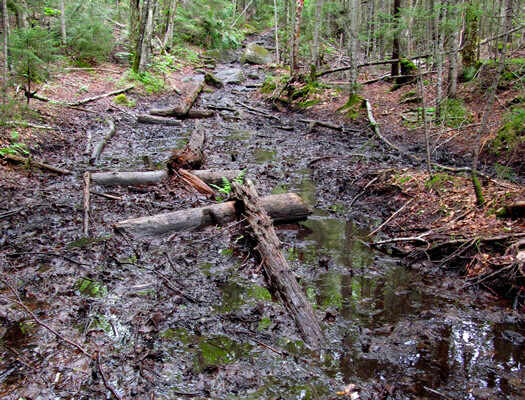 Gaiters and waterproof shoes are a necessity and if you don't like walking in ankle deep mud, don't hike this trail. But as I trudged through the mud, I realized I liked the idea of the Vice President of the United States trudging just like I was. Yeah, a tailored suit and concern for the issues that matter to me is nice I guess -- but I hope to one day vote for a President who would climb a muddy mountain and love every minute of it. Roosevelt was a politician, sure, but he never forgot his passion for the outdoors. When you finally get back to your car, you can snack, rehydrate, head back home, shower, and go to bed. You've just climbed a mountain, after all -- you've earned the right to relax and put your feet up. But Roosevelt was just off the summit when he received word that McKinley's condition was drastically worse. He and his party quickly headed back to the cottage, where he then set off for Lower Works and then on to the North Creek train station. Halfway between Lower Works and North Creek, President William McKinley passed away and Teddy Roosevelt became President of the United States. So do you feel presidential when you hike this trail? Yes. You're climbing to the top of a 5,344-foot peak to look out over the rest of the state around you. And after a few hours of hiking, you realize you're literally miles away from civilization. I can only imagine that's where you would want to be before returning to civilization and finding out you're now in charge of it. During our family summers at Schroon Lake i hiked Mt. Marcy with a children's activity group. I remember it took longer to climb up then it did, after we spotted a black bear, scooted back down the mt! Nice article! Also a great hike. 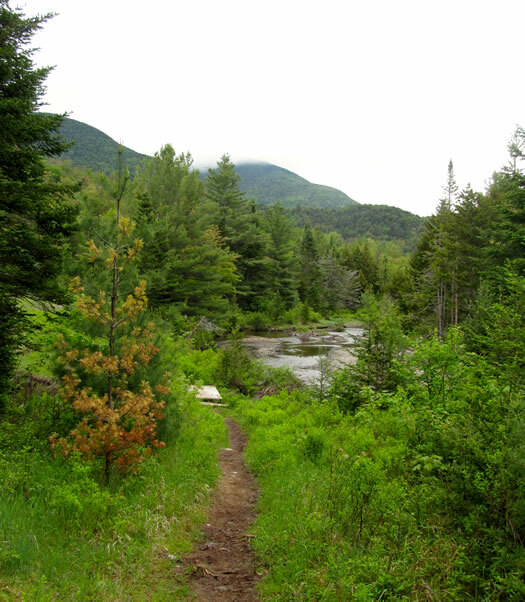 I don't think I took this exact trail though - did the one from the ADK Loj. Such a beautiful place! I'll have to check it out sometime this summer! Great article! I just started hiking the High Peaks and am not quite ready for Mt. Marcy, but I did visit Tahawus a few years ago. The small, collapsing houses were pretty interesting (although filled with giant spiders). Here are a few photos. I'm not sure if they are still standing - some seemed like they may collapse under the next heavy snowfall. We're about to climb Marcy. This was a nice read heading into it.